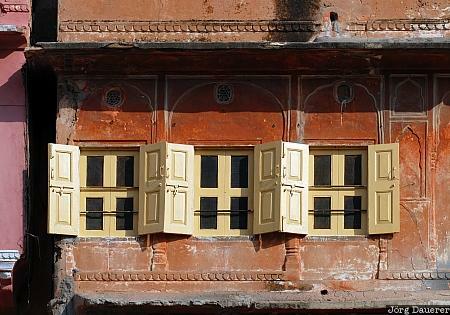 Windows with open shutters in the "Pink City" Jaipur illuminated by warm evening light. Jaipur is the capital of Rajasthan in northern India. This photo was taken in the afternoon of a sunny day in October of 2007. This photo was taken with a digital camera.